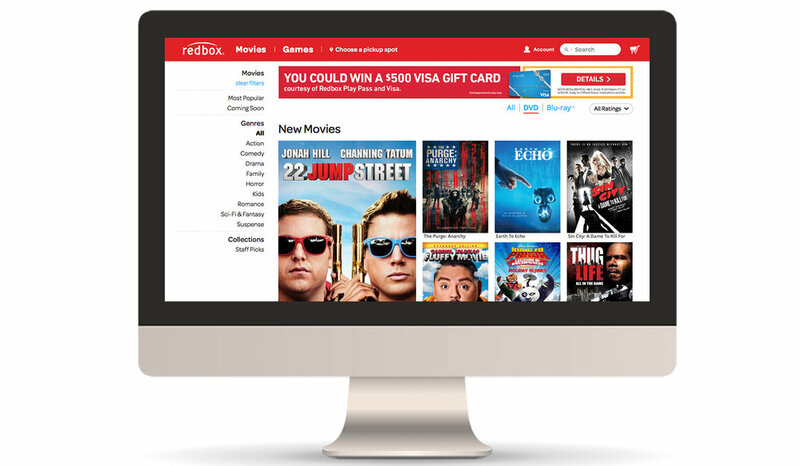 Redbox partnered with Visa to drive membership for the Redbox Play Pass loyalty program and increase the number of customers using Visa as the default payment card. The program reached 40% of goal within the first three days. 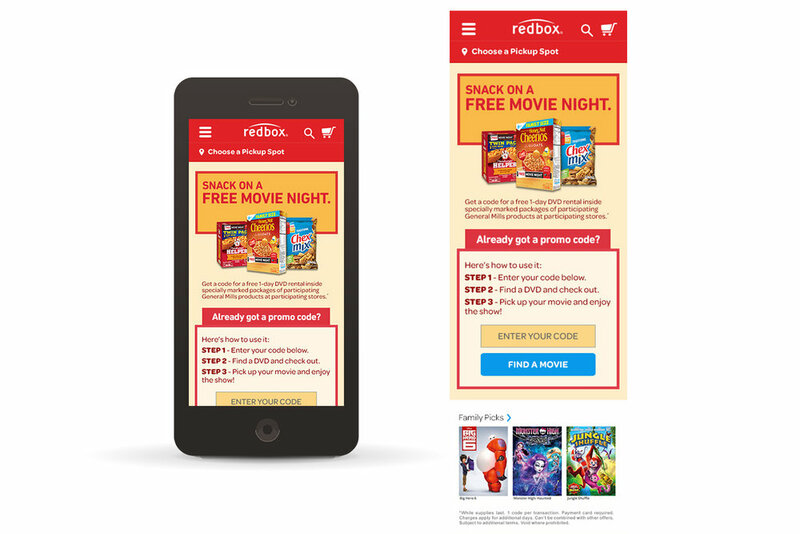 A Redbox and General Mills partnership offering consumers a free movie night with the purchase of Hamburger Helper, Cheerios or Chex Mix. 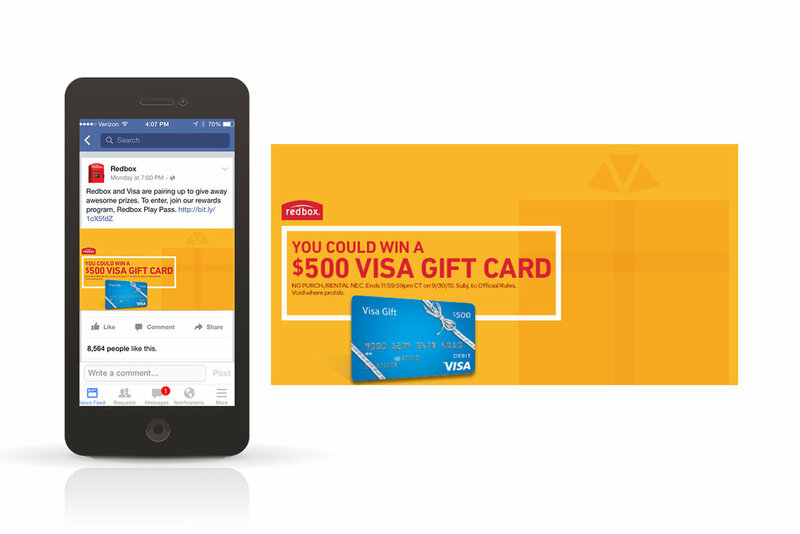 The program's objective was to increase movie rentals and drive store traffic to participating retailers.